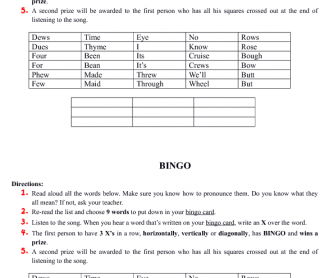 The teacher will ask students to read the words, and then, choose 9 to put into the bingo card. While listening to the song, check if it was chosen the right ones. 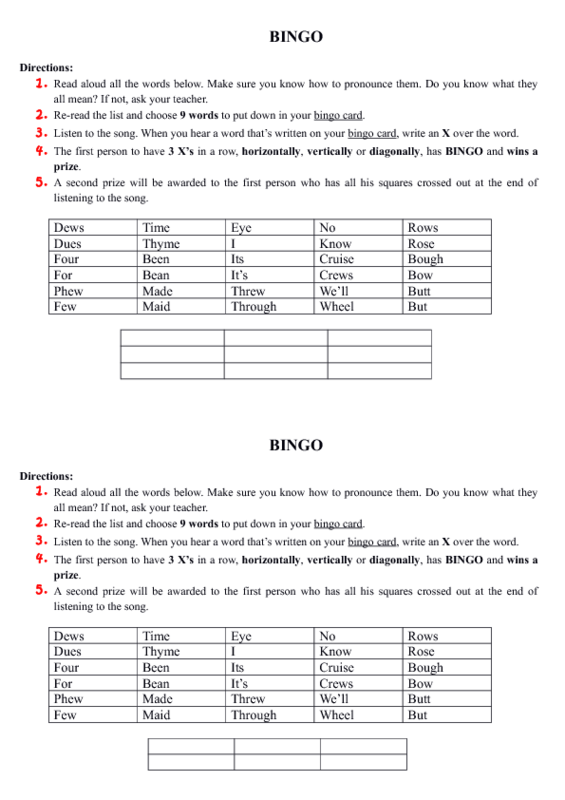 If the student chose 3 words in a row, horizontally, vertically or diagonally, it's bingo. Students can't know the name of the song or any information about it before listening to it.